COPYRIGHT: When you purchase this pattern you are agreeing to use it for PERSONAL USE only. You DO NOT HAVE PERMISSION to sell the item the pattern creates. You MAY NOT copy the pattern or distribute it. You may print one copy for personal use but may not print multiples to distribute, NOR SHARE OR SELL the digital file to others. Please direct your friends to this store so that they can purchase their own copy. 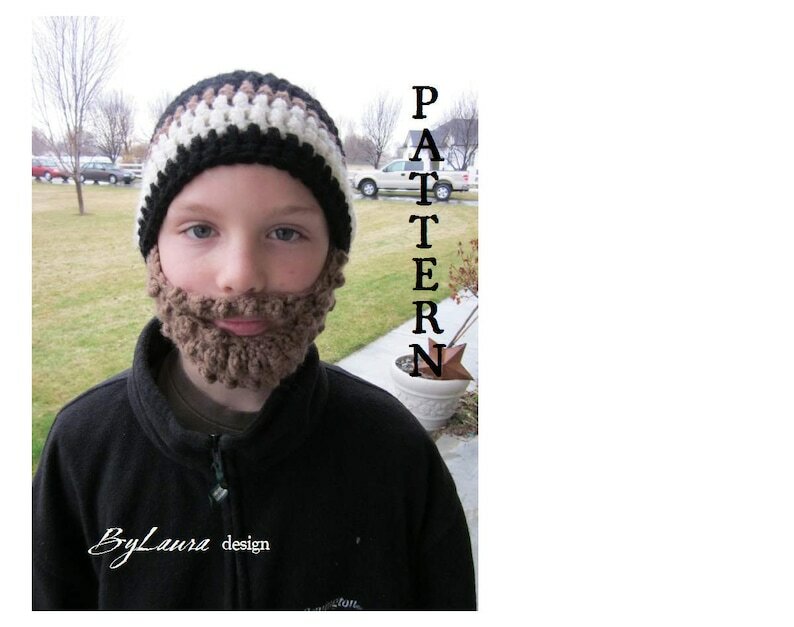 This Bearded Beanie is a hit and fully functional as well! The beard has a snug fit and keeps your kids' face warm while providing a good laugh! Now a DIGITAL PDF FILE SENT TO YOUR ETSY EMAIL ACCOUNT UPON PURCHASE!! This is a NON-REFUNDABLE sale so please read everything carefully.